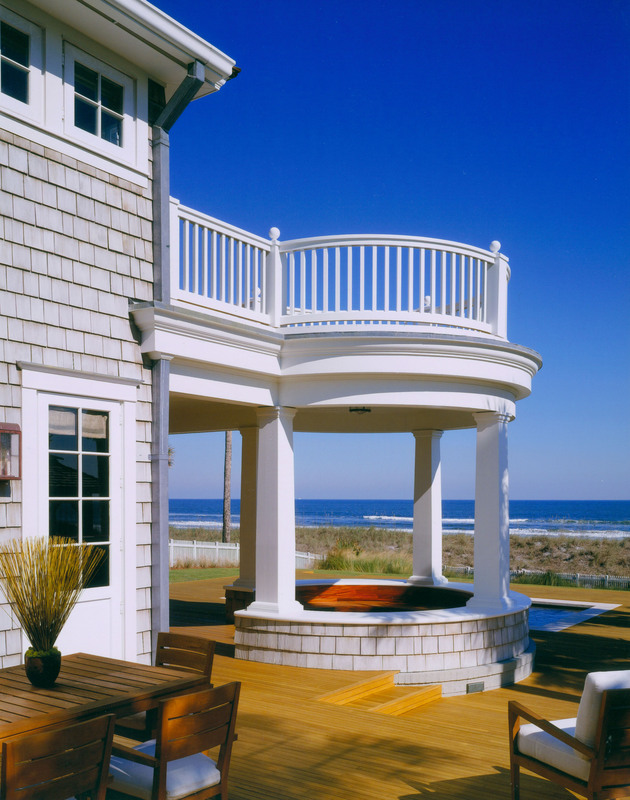 Art and recreation were the guiding principles for the design of this oceanfront Courtyard Retreat. 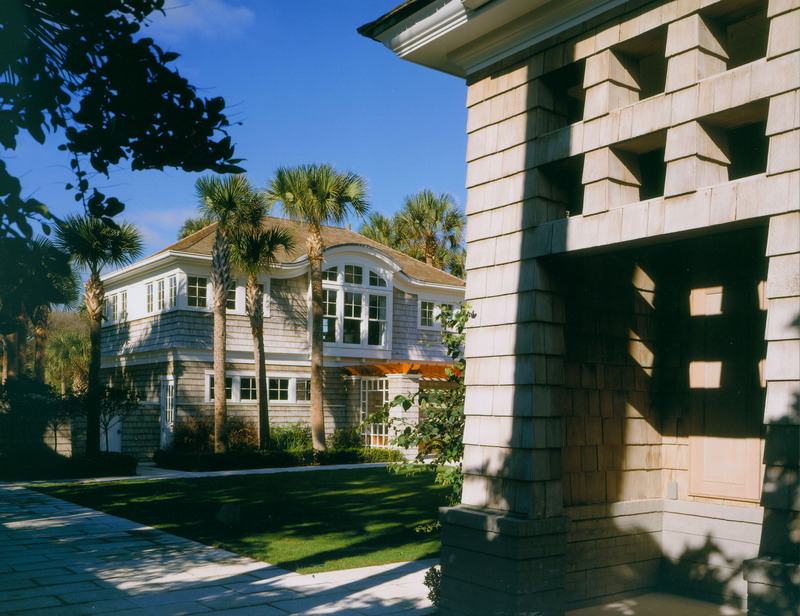 Set in a traditional beach neighborhood, the exterior was designed to become part of the local shingled aesthetic. Indoor and outdoor rooms utilize the full space offered on a narrow but deep lot. 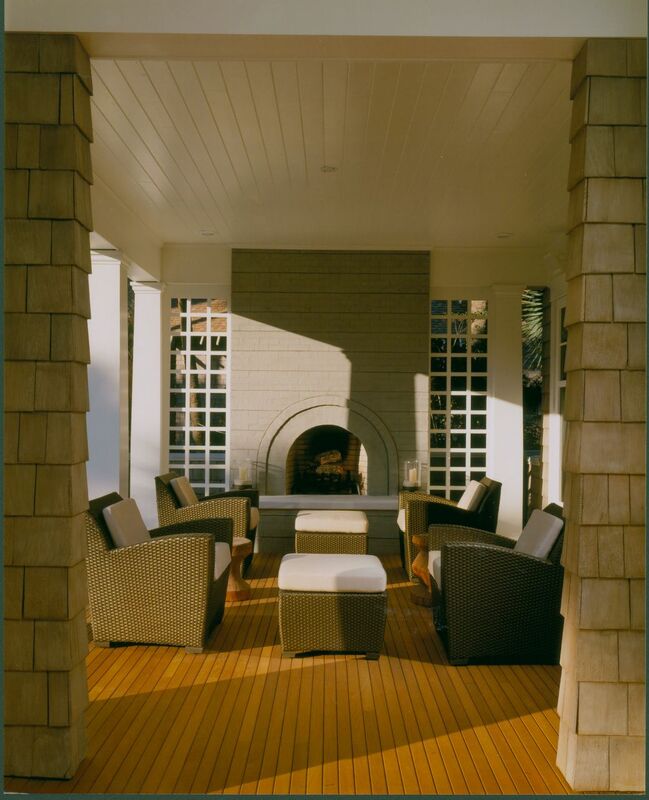 The house and detached garage work together to create a protected courtyard, including porches and a reflecting pool. Axial views of the ocean and significant interior rooms enrich the visual experience. 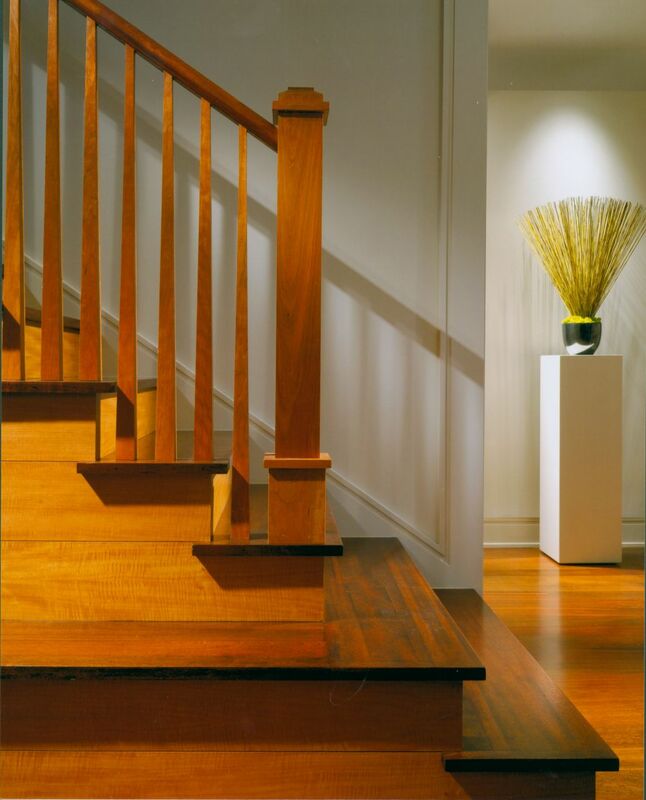 A quiet color pallet, natural woods, and controlled lighting provide a refined backdrop for works of art. The experience is one of balance between old world elegance and contemporary design.